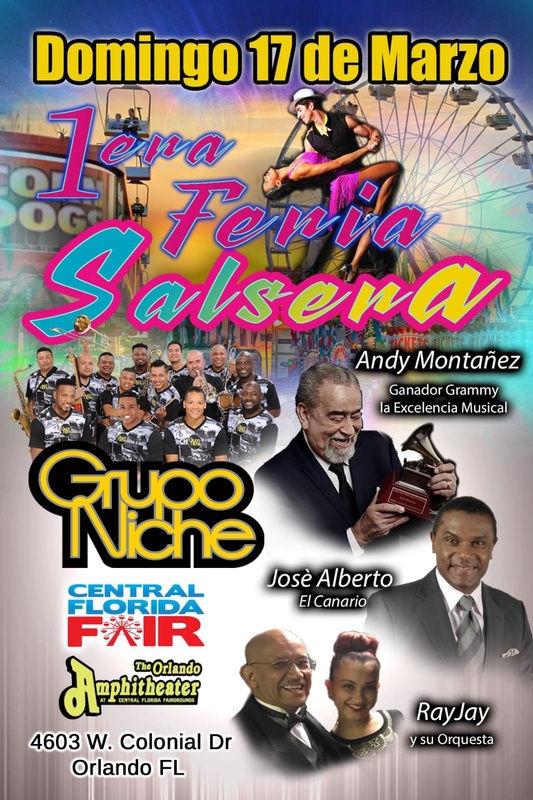 Bring the Family for Good Music, Food and Fair Latin Style at La Feria Salsera. This festival is happening along the Central Florida Fair. Your Concert Ticket purchase includes your Gate Admission to the Central Florida Fair. Must have concert ticket to enter the Festival.